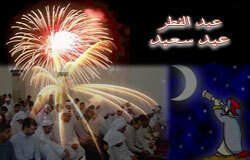 The Glorious Holy Month of Ramadan is coming to an end… ushering in the wonderful feast days of Eid-el-Fitr. A time for joyous celebrations with families, a time to feel completely renewed and refreshed. In the meantime…. EL-EID-MUBARAK!!! Make the best of it and try to enjoy. Never give up the dream and hope that all will be good one day… Click HERE for some wonderful inspiration from the Beatles. Ramadan is all about what religion should be, unity and understanding. “Let it Be” underscores this message. The line from the song that moves me is, “When the night is cloudy, there is still a light that shines on me…” It is comforting to know there is a light waiting to shine once the clouds of our collective madness lift. With relative luxury in the US compared to our homeland’s people, I would find it so very hard to have to explain to young children why there are no gifts, no special foods or grinning faces and smiles at this special time at the end of Ramadan when abject poverty and fear rule in Palestine today. As a Christian, may our one God bless those families who mourn the loss of a family member and whose children go to bed hungry and in fear. Ramadan Kareem and Peace upon all. Thank you Salah.. good to see you. May the words of your blog and the meditations of your heart be acceptable in [God’s] sight, Desertpeace! Well thank you behemoth… what a kind Blessing.